Dr. Woo Hyoung Lee P.E. Dr. Lee is an Assistant Professor in the Department of Civil, Environmental, and Construction Engineering (CECE) at the University of Central Florida (UCF). He received his Ph.D. in environmental engineering from The University of Cincinnati, Cincinnati, OH in 2009. 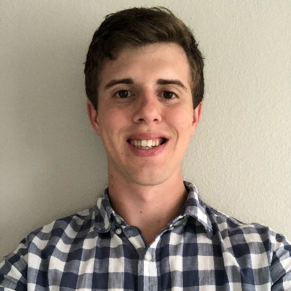 Before joining UCF, he was an ORISE postdoctoral research fellow at U.S. Environmental Protection Agency (USEPA), National Risk Management Research Laboratory (NRMRL), Cincinnati, OH. He obtained his B.S. in Environmental Engineering from Chonnam National University, Gwangju, Korea in 1996 and his M.S. in Environmental Engineering from Korea University, Seoul, Korea in 2001. 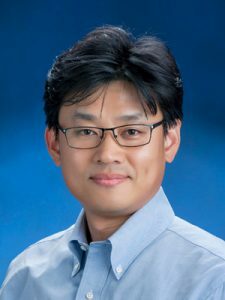 For five years prior to continuing his education, he acquired practical experience working on various environmental engineering projects including water/wastewater treatment plant design, sanitary sewer distribution system modeling, and development of advanced water/wastewater treatment technologies in GS E&C Co. (Seoul, Korea). To date, his professional work and research have encompassed development and use of electrochemical microsensors for water quality monitoring, advanced water/wastewater treatment processes, and bioenergy production from wastes. Dr. Lee’s research group has developed and applied various electrochemical microsensors for environmental and biomedical research (e.g. biofilm, corrosion, plants, emulsion, and sediments) and for in situ monitoring in aqueous systems (e.g. N & P-cycle, PAHs, free chlorine, Pb, and Cd monitoring). His current research interests also include innovative renewable, environmentally responsible, and cost-effective bioenergy production from wastewater treatment processes, algae-bacterial symbiosis processes, emulsion characterization for bilge water treatment, microbial fuel cell technology (MFC) for oil degradation, ballast water quality monitoring, and nitrification and corrosion in drinking water distribution systems. 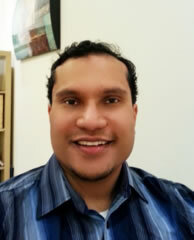 He is a registered professional engineer (P.E.). If you are interested in a Graduate Student Position in Dr. Lee’s lab, please contact via WooHyoung.Lee@ucf.edu. [J40] Hwang, J-H.†, Kim, K-Y., Resurreccion, E.P., and Lee, W.H. *(2019) Surfactant addition to enhance bioavailability of bilge water in single chamber microbial fuel cells (MFCs), Journal of Hazardous Materials, 368, 732-738 (IF=6.434). [J39] Hwang, J-H.†, Wang, X., Zhao, D., Rex, M., Cho, H., and Lee, W.H. *(2019) A novel nanoporous bismuth electrode sensor for in situ heavy metal detection, Electrochimica Acta, 298, 440–448. (IF=5.116). [J37] Ezeodurukwe, I.†, Church, J.†, Young, M., An, J.W., Santra, S., Nam, B., and Lee, W.H. *(2018) Harmful algal bloom control using recycled concrete aggregate coated with quaternary ammonium compounds, Florida Water Resources Journal*, September issue, 30-36. *It is an official publication of three Florida associations: Florida Section/American Water Works Association (FS/AWWA), Florida Water Environment Association (FWEA), and Florida Water & Pollution Control Operators Association (FWPCOA). [J36] Church, J.†, Ryu, H., Sadmani, A., Randall, A.A., Santo Domingo, J., and Lee, W.H. * (2018) Multiscale investigation of a symbiotic microalgal-integrated fixed film activated sludge (MAIFAS) process for nutrient removal and photo-oxygenation, Bioresource Technology, 268, 128-138 (IF=5.94). [J35] Park, J., Wang, D., and Lee, W.H. *(2018) Evaluation of weir construction on water quality related to algal blooms in the Nakdong River, Environmental Earth Sciences, 77, 408 (IF=1.569). [J34] Munshi, F.M.†, Church, J.†, McLean, R.†, Maier, N.†, Sadmani, A H M., Duranceau, S.J., and Lee, W.H. * (2018) Dewatering algae using an aquaporin-based polyethersulfone forward osmosis membrane, Separation and Purification Technology, 204 (2), 154–161 (IF=3.359). [J32] Hwang, J-H.†, Church, J.†, Lim, J., and Lee, W.H. * (2018) Photosynthetic biohydrogen production in a wastewater environment and its potential as renewable energy, Energy, 149, 222-229 (IF=4.520). [J31] Lee, W. H., Pressman J.G., and David W.G. (2018) Three-dimensional free chlorine and monochloramine biofilm penetration: correlating penetration with biofilm activity and viability, Environmental Science & Technology, 52, 1889-1898 (IF=6.198). [J30] Ma, X.†, Armas, S., Soliman, M., Lytle, D.A., Chumbimuni-Torres, K., Tetard, L., and Lee, W.H. * (2018) In situ monitoring of Pb2+ leaching from the galvanic joint surface in a prepared chlorinated drinking water, Environmental Science & Technology, 52, 2126-2133 (IF=6.198). [J29] Church, J.†, Armas, S.M., Patel, P.K., Chumbimuni-Torres, K.Y., and Lee, W.H. * (2018) Development and characterization of needle-type ion-selective microsensors for in situ determination of foliar uptake of Zn2+ in citrus plants, Electroanalysis, 30, 626-632 (IF=2.851). [J28] Islam, M.A., Church, J.†, Han, C., Chung, H-S., Ji, E., Kim, J.H., Choudhary, N., Lee, G-H., Lee, W.H. *, Jung, Y. (2017) Noble metal-coated MoS2 nanofilms with vertically-aligned 2D layers for visible light-driven photocatalytic degradation of emerging water contaminants, Scientific Reports, 7(1), 14944 (IF=4.259). * This article was selected as one of the top 100 read chemistry papers for Scientific Reports in 2017. [J27] Church, J.†, Paynter, D.M., and Lee, W.H. * (2017) In situ characterization of oil-in-water emulsions stabilized by surfactant and salt using microsensors, Langmuir, 33(38) 9731-9739 (IF=3.833). [J26] Church, J.† Hwang, J-H.†, Kim, K-T., McLean, R.†, Oh, Y-K., Nam, B., J.C. Joo, and Lee, W.H. * (2017) Effect of salt type and concentration on the growth and lipid content of Chlorella vulgaris in synthetic saline wastewater for biofuel production, Bioresource Technology, 243, 147-153 (IF=5.94). [J25] Park, J., Church, J.†, Son, Y., Kim, K-T., and Lee, W.H. * (2017) Recent advances in ultrasonic treatment: challenges and field applications for controlling harmful algal blooms (HABs), Ultrasonics Sonochemistry, 38, 326-334 (IF=4.70). [J24] Wang, W., Ma, X.†, Church, J.†, Jung, S., Son, Y., Lee, W.H., and Cho, H.J. (2017) ZnO Nanoflakes as a Template for In-situ Electrodeposition of Nanostructured Cobalt Electrodes as Amperometric Phosphate Sensors, Materials Letters, 192(1), 107-110 (IF=2.437). [J23] Church, J.†, Kannan, H., An, J., Lee, W.H. *, Santra, S., and Nam, B.H. (2017) Recycled concrete aggregate coated with quaternary ammonium compounds for water disinfection, International Journal of Environmental Science and Technology, 14(3), 543-552 (IF=2.190). [J22] Ma, X.†, Lee, W.H. *, and Lytle, D.A. (2017) In-situ 2D Maps of pH Shifts across Brass-Lead Galvanic Joints using Microelectrodes, Measurement Science and Technology, 28, 025101 (10pp) (IF=1.435). [J20] Church, J.†, Wang, X., Lee, W. H.*, Cho, H. J., and Zhai, L. (2016). A Graphene-Based Nanosensors for In Situ Monitoring of Polycyclic Aromatic Hydrocarbons (PAHs), Journal of Nanoscience and Nanotechnology, 16(2), 1620-1623 (IF=1.556). [J19] Joo, J.C., Ahn, C.H., Lee, S., Jang, D-G., Lee, W.H., Ryu, B.R. (2016). Algal Growth Potential of Microcystis aeruginosa from Reclaimed Water, Water Environment Research, 88(1), 54-62 (IF=1.134). [J18] Church, J.†, Verbyla, M., Lee, W.H. *, Randall, A.A., Amundsen, T.J., and Zastrow, D.J. (2015) Dishwashing water recycling system and related water quality standard for military use, Science of the Total Environment, 529, 275-284 (IF=3.163). [J17] Lee, W. H., Wahman, D. G., and Pressman, J. G. (2015) Monochloramine-sensitive amperometric microelectrode: optimization of gold, platinum, and carbon fiber sensing materials for removal of dissolved oxygen interference, Ionics, 1-12, (IF=1.836). [J16] Lee. W. H.†, (2015) Needle-type Environmental Microelectrode Sensors for In Situ Biofilm Study in Aqueous Systems, Journal of Ecology and Environment, 2 (2), 85–103. [J13] Lee, W. H., Wahman, D. G., and Pressman, J. G., (2013) Amperometric carbon fiber nitrite microsensor for in situ biofilm monitoring, Sensors and Actuators B, 188, 1263-1269 (IF=3.535). [J12] Guo, X., Lee, W. H., Noe, A, Shanov, V. N., and Heineman, W. R., (2013) Detection of trace zinc by an electrochemical microsensor based on carbon nanotube threads, Electroanalysis, 25(7), 1599−1604 (IF= 2.817). [J11] Lee, W. H., Choi, W-H., Guo, X., Heineman, W. R., and Bishop, P. L., (2012) Material science chemistry of electrochemical microsensors and applications for biofilm research, Key Engineering Materials: Innovation in Materials Science II, 521, 113−139 (IF=0.363). [J10] Pressman, J. G., Lee, W. H., Bishop, P. L., and Wahman, D. G., (2012) Effect of free ammonia concentration on monochloramine penetration within a nitrifying biofilm and its effect on activity, viability, and recovery, Water Research, 46, 882−894 (IF=5.323). [J09] Lee, W. H., Lee, J-H., Choi, W-H., Hosni, A., Papautsky, I., Bishop, P. L., (2011) Needle-type environmental microsensors: design, construction and uses of microelectrode and multi-analyte MEMS sensor arrays*, Measurement Science and Technology, 22, 042001 (22pp) (IF=1.435). * This article is a top 10% paper and has been downloaded over 500 times in 97 days from the date of publication. [J08] Lee, W. H., Wahman, D. G., Bishop, P. L., and Pressman, J. G., (2011) Free chlorine and monochloramine application to nitrifying biofilm: comparison of biofilm penetration, activity, and viability, Environmental Science and Technology, 45, 1421−1419 (IF=5.481). [J07] Lee, W. H., Pressman, J. G., Wahman, D. G., and Bishop, P. L., (2010) Characterization and application of a chlorine microelectrode for measuring monochloramine within a biofilm. Sensors and Actuators B, 145(2), 734−742 (IF=3.535). [J06] Lee, W. H., and Bishop, P. L., (2010) In situ microscale analyses of activated sludge flocs in the enhanced biological phosphate removal process by the use of microelectrodes and fluorescent in situ hybridization. Journal of Environmental Engineering (ASCE), 136(6), 561−567 (IF=1.117). [J05] Lee, W. H., Lee, J-H., Bishop, P. L., and Papautsky, I., (2009) Biological application of MEMS microelectrode array sensors for direct measurement of phosphate in the enhanced biological phosphorus removal process, Water Environment Research, 81(8), 748−754 (IF=1.134). [J04] Lee, J-H., Lee, W. H., Bishop, P. L., and Papautsky, I., (2009) A cobalt-coated needle-type microelectrode array sensor for in situ monitoring of phosphate, Journal of Micromechanics and Microengineering, 19(2), 025022 (IF=1.790). [J03] Lee, W. H., Seo, Y., and Bishop, P. L., (2009) Characteristics of a cobalt-based phosphate microelectrode for in situ monitoring of phosphate and it’s biological application, Sensors and Actuators B, 137(1), 121−128 (IF=3.535). [J02] Seo, Y., Lee, W. H., and Bishop, P. L., (2009) Application of a permeable reactive biobarrier for surfactant enhanced soil bioremediation, Environmental Pollution, 157. 95−101 (IF=3.730). [J01] Rhu, D. H., Lee, W. H., Kim, J. Y., and Choi, E., (2003) Polyhydroxy-alkanoate (PHA) production from waste, Water Science, and Technology, 48(8), 221−228 (IF=1.102). InnoCentive Challenge Award, New Insights into Fluoride Delivery from Toothpaste (#9933557), Aug., 2014 (one of 3 awardees among 287 submissions). Sadmani, A., Lee, W.H., Andrews, R.C., Agnieszka, C., and Brar, S.K., Occurrence and Treatment of Contaminants of Emerging Concern in Drinking Water, Potable Water Treatment, Handbook of Environmental Engineering (Ed. Surampalli R.), McGraw-Hill Education (released by August 2018). Hwang, J-H.†, Sadmani, A., Lee, S-J., Kim, K-T. and Lee, W.H. * Microalgae: An eco-friendly tool for the treatment of wastewaters for environmental safety, Bioremediation of Industrial Wastes for Environmental Safety, Volume II: Biological agents and methods for industrial waste management (Eds. Bharagava, R.N. and Saxena, G.), Springer Nature, Singapore (Accepted for publication). Guo, X. and Lee, W. H., (2016) Electronic Properties of Carbon Nanotubes and Their Applications in Electrochemical Sensors and Biosensors (volume 3), Graphene Science Handbook, CRC Press/Taylor & Francis. Lee, W. H.*, Guo, X., Guo, D., Campiglia, A., Ma, X.†, Church, J.† (2015). In Situ Polycyclic Aromatic Hydrocarbon (PAH) Sensors, Wastewater Treatment: Occurrence and Fate of Polycyclic Aromatic Hydrocarbons (PAHs), (Ed. Amy J. Forsgren), CRC Press/Taylor & Francis, 175-210. Lee, W. H.*, Lee, J-H., Choi, W-H., Papautsky, I., and Bishop, P. L. (2014). Needle-Type Environmental Sensors (Ch. 7), Measurement, Instrumentation, and Sensors Handbook, Second Edition: Spatial, Mechanical, Thermal, and Radiation Measurement (Webster, J.G., Eren H., Ed. ), CRC Press, 1-24. Lee, J-H., Seo, Y., Lee, W. H., Bishop, P. L., and Papautsky, I. (2010). Needle-Type Multi-Analyte MEMS Sensor Arrays for In Situ Measurements in Biofilms, in: Emerging Environmental Technologies, Volume II, (Ed. Vishal Shah), Springer, Oakdale, NY, 115-145. Lee, W.H. *, Development, characterization, and application of needle-type microsensors for in situ monitoring of ions in citrus plants, World Congress on Biosensors and Bioelectronics, Aug. 20-21, 2018. Campos, M.G.N., Rajasekaran, P., Prajapati, R.K., Das, S., Huang, Z., Smith, S., Soliman, M., Church, J.†, Armas, M., Liu, S-H., Edmunds, W., Labbe, N., Chumbimuni-Torres, K.Y., Lee, W.H., Petridis, L., Tetard, L., Santra, S., MS3T – A novel multifunctional platform for health management of HLB affected citrus trees, 7th International Congress on Ceramics, Foz do Iguassu, Brazil, June 17–21, 2018. Hwang, J-H.†, Wang, X., Jung, S., Son, Y., Cho, H.J., and Lee, W.H. 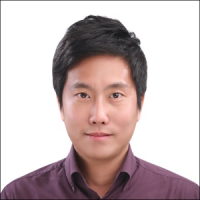 *, Enhanced electrochemical detection of multi-heavy metal ions using a biopolymer-coated planar carbon electrode, 2018 Sensors Application Symposium, IEEE, Seoul, Korea, March 12-14, 2018. Wang, X., Ma, X.†, Lee, W.H., Cho, H.J., Sensor Response Mechanism and Characterization of Co-based Phosphate Nanosensors, 2018 Sensors Application Symposium, IEEE, Seoul, Korea, March 12-14, 2018. Hwang, J.H.†, Church, J.†, Lee, S.J., and Lee, W.H., Integrated System using Microalgae for Wastewater Treatment and Sustainable Biofuel Production, ISIE-ISSST 2017: The 9th biennial conference of the International Society for Industrial Ecology (ISIE) and the 25th annual conference of the International Symposium on Sustainable Systems and Technology (ISSST), Chicago, IL, June 25-29, 2017. Armas, S.M., Patel, P.K., Church, K.†, Lee, W.H., Santra, S., and Chumbimuni-Torres, K.Y., A non-destructive micro-sensor for in situ analysis of zinc in plants, Mátrafüred 2017, International Conference on Electrochemical Sensors, Visegrád, Hungary, June 11-16, 2017. Fabricated with a Sacrificial Glass Fiber Paper Template, IEEE Sensors 2015, Busan, Korea, November 1-4, 2015. Church, J.†, Wang, X., Lee, W. H.*, Cho, H. J., and Zhai, L., Superhydrophobic Graphene-Based Nanosensors for In Situ Monitoring of Polycyclic Aromatic Hydrocarbons (PAHs), The 12th International Conference on Nano Science and Nano Technology (ICNST 2014), Muan (Mokpo), Korea, November 6-7, 2014. Lee, W. H.*, Needle-type Environmental Microelectrode Sensors for In Situ Biofilm Study in Aqueous Systems, 11th IEEE International Conference on Networking, Sensing and Control, Miami, FL, USA, April 7-9, 2014. Lee, W. H., Wahman, D. G, Bishop, P. L., and Pressman, J. G., Carbon-fiber nitrite microsensor for in situ biofilm monitoring, Proceedings, International Water Association (IWA) World Water Congress & Exhibition, Busan, South Korea, September 16-21, 2012. Choi, W-H., Lee, W. H., Bishop, P. L., and Papautsky, I., Dissolved Oxygen-Compensated Needle-Type Sensor for Phosphate Analysis of Biological and Environmental Samples, Proceedings, MicroTAS 2009, The 13th International Conference on Miniaturized Systems for Chemistry and Life Sciences, Jeju, Korea, November 1−5, 2009. Lee, W. H., Pressman, J. G, Wahman D. G, and Bishop, P. L., In Situ Identification and Stratification of Monochloramine Inhibition Effects on Nitrifying Biofilms as Determined by the Use of Microelectrodes, Proceedings, International Water Association (IWA) Specialized Conference on Processes in Biofilms: Fundamentals to Applications, Davis, CA, September 13−16, 2009. Pressman, J. G, Lee, W. H., Wahman, D. G, and Bishop, P. L., Disinfectant Penetration into Nitrifying Drinking Water Distribution System Biofilm Using Microelectrodes, Proceedings, 1st International Conference on Nitrification, University of Louisville, KY, July 5−10, 2009. Lee, W. H., Pressman, J. G, Wahman, D. G, and Bishop, P. L., Biofilm Penetration of Monochloramine and Chlorine Using Microelectrodes, Proceedings, The 8th International Symposium on Water Supply Technology, Kobe, Japan, June 10−12, 2009. Lee, W. H., and Kim C-R., Trenchless Pipe Lining System with Revolvable Inversion Device by Water/Air Pressure, Proceedings, 6th Korean Environmental Technology Conference, Jeju, South Korea, October, 2005. Yoo K-S, Kim C-R., and Lee, W. H., The Reclamation of Rainwater including Non-point Pollutions using Rainwater Reuse System , Proceedings, 42nd Japan Water Works Association Research Conference and Symposium, Tokyo, Japan, July, 2005. Yoo K-S, Kim C-R., Il Ho Kim, and Lee, W. H., Development of Environmental-friendly Rainwater Treatment System Using Wasted-tire media and Membrane, Proceedings, Korean Environmental Engineers Society Conference, Joenju, Korea, 2004. Kim K-J, Lee, W. H., and Kim, H-M., SS removal and disinfection process using Ozoflotation, Proceedings, 3rd Korean Environmental Technology Conference, Sokcho, South Korea, August, 2002. Rhu, D-H., Lee, W. H., Kim, J-Y.,and Choi, E., PHA production from waste, Proceedings, Environmental Biotechnology, New Zealand, April , 2002. Lee, W. H., Rhu, D-H., Ji Kim, J-Y.,and Choi, E., Factors affecting the production of PHA (Poly-hydroxyalkanoates) using SBR, Proceedings, Korean Environmental Engineers Society Conference, Gwangju, South Korea, April, 2001. Diaz, D. †, Church, J.†, Young, M., Santra, S., and Lee, W.H. *, Silica-functionalized quaternary ammonium nanocoated mesh for water disinfection and cyanobacterial growth control, AMTA/AWWA 2019 Membrane Technology Conference & Exposition, New Orleans, LA, Feb. 25–Mar. 1, 2019 (Submitted). Paynter, D., Lee, W.H., and Lundin, J., Emulsion Characterization Study for Improved Bilgewater Treatment and Management, 2018 SERDP/ESTCP, Washington DC, Nov. 27–29, 2018 (Submitted). Ma, X.†, Church, J.†, Lytle, D.A., and Lee, W.H. *, In situ microelectrode investigation on the effect of phosphate, chloride, and sulfate on galvanic corrosion, Proceedings, American Water Work Association, Water Quality Technology Conference and Exhibition, Toronto, Canada, November 11-15, 2018 (Accepted). Hwang, J-H.†, Islam, A., Y. Jung, and Lee, W.H. *, Noble Vertically-Aligned 2D Layers of MoS2 Nanofilms and Biopolymer-based Microsensor for Heavy Metal Detection in Drinking Water, Proceedings, American Water Work Association, Water Quality Technology Conference and Exhibition, Toronto, Canada, November 11-15, 2018 (Accepted). Church, J. †, Ma, X. †, and Lee, W.H. *, Simultaneous in situ monitoring of Pb2+, Cu2+ and Zn2+ from a galvanic joint in a chlorinated water using a SWASV microelectrode, Proceedings, American Water Work Association, Water Quality Technology Conference and Exhibition, Toronto, Canada, November 11-15, 2018 (Accepted). Hwang, J-H.†, Ko, T., Jung, Y., and Lee, W.H. *, A Novel 2D MoS2 Sponge Oil-Water Separator (MDSOS), US-KOREA Conference on Science, Technology and Entrepreneurship (UKC), Queens, NY, Aug. 1-4, 2018. Munshi, F.† and Lee, W.H. *, Fouling Control of a Forward Osmosis (FO) Algae Dewatering System using an Electric Field, AMTA/AWWA 2018 Membrane Technology Conference & Exposition, West Palm Beach, FL, March 12-16, 2018. Church, J.†, Armas, S., Chumbimuni-Torres, K.Y., and Lee, W.H. *, Development, characterization, and application of needle-type ion-selective microsensors for in situ monitoring of Zn2+ and Na+ in citrus plants, PITTCON 2018, Orlando, FL, Feb. 26–Mar. 1, 2018. Ma, X.†, Lytle, D.A., and Lee, W.H. *, Microelectrodes Investigation on In Situ Water Chemistry Dynamics of Galvanic Corrosion in Simulated Drinking Water, PITTCON 2018, Orlando, FL, Feb. 26–Mar. 1, 2018. Hwang, J-H.†, Wang, X., Jung, S., Son, Y., Cho, H.J. and Lee, W.H. *, A Bi-Sn Nanoporous Structured Sensor System for In Situ Heavy Metals Detection in Groundwater, PITTCON 2018, Orlando, FL, Feb. 26–Mar. 1, 2018. Armas, S., Patel, P., Church, J. †, Lee, W.H., Santra, S., Chumbimuni-Torres, , A Non-Destructive Micro-Sensor for In Situ Analysis of Ions in Plants, 2017 Materials Research Society (MRS) Fall Meeting & Exhibit, Boston, Massachusetts, Nov. 26 – Dec. 1, 2017. Church, J.† and Lee, W.H. *, In Situ Zn2+ Detection using a Novel Two Step Square Wave Anodic Stripping Voltammetry-based Needle-type Microsensor for Citrus Plant Applications, 2017 Materials Research Society (MRS) Fall Meeting & Exhibit, Boston, Massachusetts, Nov. 26 – Dec. 1, 2017. Church, J.†, Islam, A., Han, C., Jung, Y., and Lee, W.H. *, Development of Novel Vertically Aligned MoS2 Films for Rapid Degradation of Microcystins and Green Algae, Proceedings, American Water Work Association, Water Quality Technology Conference and Exhibition, Portland, Oregon, November 12-16, 2017. Ma, X.†, Soliman, M., Lytle, D.A., Tetard, L., and Lee, W.H. *, 2D Surface Investigation of pH, Free Chlorine, Phosphate and Alkalinity Effect on Corrosion in Galvanic Joints using Microelectrodes, Proceedings, American Water Work Association, Water Quality Technology Conference and Exhibition (WQTC), Portland, Oregon, November 12-16, 2017. *This presentation was selected as the WQTC Best Student Award. Church, J.†, Ryu, H., and Lee, W.H. *, An innovative symbiotic microalgae-IFAS process for nutrient removal and photo-oxygenation: Multiscale investigations using microelectrodes and next-generation molecular tools, Proceedings, 90th Annual Water Environmental Federation Technical Exhibition and Conference, Chicago, IL, Sept. 30-Oct. 4, 2017. Hwang, J.H.† Paynter, D.M., Lee, S.M., and Lee, W.H. *, Electricity Generation from Oily Wastewater using Microbial Fuel Cells (MFCs), The 18th US-KOREA Conference on Science, Technology and Entrepreneurship (UKC), Washington DC, August 9-12, 2017. *This presentation was selected as the UKC 2017 Best Student Poster Award. Hwang, J.H.†, Church, J.†, Lee, S.J., and Lee, W.H., Integrated System using Microalgae for Wastewater Treatment and Sustainable Biofuel Production, 2017 AEESP Research and Education Conference, Ann Arbor, MI, June 21-22, 2017. Hwang, J-H.†, Church, J.†, and Lee, W.H. *, Renewable Microalgal Hydrogen Production from Synthetic Wastewater, 2017 AEESP Research and Education Conference, Ann Arbor, MI, June 21-22, 2017. Munshi, F.†, Church, J.†, Sadmani, A., Lee, W.H. *, Algae Dewatering with Different Draw Solutions and Cross Flow Velocities using a Forward Osmosis (FO) Flat Sheet Membrane, AMTA/AWWA 2017 Membrane Technology Conference & Exposition, Long Beach, CA., Feb. 13-17, 2017. McLean R.†, Munshi, F.†, Church, J.†, Sadmani, A., Lee, W.H. *, Nanoparticle-driven Forward Osmosis Modification for Mitigating Membrane Biofouling in Algae Separation, AMTA/AWWA 2017 Membrane Technology Conference & Exposition, Long Beach, CA., Feb. 13-17, 2017. Church, J.†, Lee, W.H. *, Paynter, D.M., and Lee, S.M., In Situ Chemical Stability Characterization of Oil-in-Water Emulsions Using Microsensors, Proceedings, 89th Annual Water Environmental Federation Technical Exhibition and Conference, New Orleans, LA, Sept. 24-28, 2016. Lee, W.H. *, Ma, X.†, Church, J.†, Electrochemical Micro/Nano-Sensor for In Situ Monitoring of Nutrients and Chemical Compounds in Engineered and Natural Aquatic Systems, 252th ACS National Meeting & Exposition, Philadelphia, PA, Aug. 21–25, 2016. Wang, X., Church, J.†, Lee, W. H.*, Cho, H. J., Nanostructured Phosphate Sensors Based on Co-Cu Electrodes Fabricated with a Sacrificial Glass Fiber Paper Template, 252th ACS National Meeting & Exposition, Philadelphia, PA, Aug. 21–25, 2016. Church, J.†, McLean, R.†, Hwang, J-H.†, and Lee, W.H. *, Sodium Ion Effect on Nutrient Recovery of Wastewater Using Microalgae, Proceedings, 89th Annual Water Environmental Federation Technical Exhibition and Conference, New Orleans, Sept. 24-28, 2016. Church, J.†, Lee, W.H. *, Paynter, D.M., and Lee, S.M., In Situ Chemical Stability Characterization of Oil-in-Water Emulsions Using Microsensors, Proceedings, 89th Annual Water Environmental Federation Technical Exhibition and Conference, New Orleans, Sept. 24-28, 2016. Ma, X.†, Lee, W.H. *, and Lytle, D.A., In-Situ 2D Spatial Imaging of pH Changes at Brass-Lead Galvanic Joints Using Microelectrodes, Proceedings, American Water Work Association, 2016 Annual Conference and Exposition, Chicago, IL, June 19-22, 2016. Hulce, C., Church, J.†, Santra, S., Lee, W.H. *, and Chumbimuni-Torres, K.Y., Development and Characterization of an Ion Selective Microsensor for the Detection and Monitoring of Zinc Levels in Citrus Plants, PITTCON 2016, Atlanta, GA, March 6-10, 2016. Gonzalez, B. C., Liggett, J., Lytle, D.A., Lee, W.H., Wahman, D. G, and Pressman, J. G., Microelectrode Investigation of the Reactions between Iron and Copper Pipe Materials and Monochloramine, Proceedings, American Water Work Association, Water Quality Technology Conference and Exhibition, Salt Lake City, Utah, November 15-19, 2015. Church, J.†, Park, Y.J., Lee, W.H. *, Wahman, D. G, and Pressman, J. G., In-situ Spatial Chemical Reactions of Copper Pitting Corrosion in a Household Plumbing System, Proceedings, American Water Work Association, Water Quality Technology Conference and Exhibition, Salt Lake City, Utah, November 15-19, 2015. Ma, X.†, Church, J.†, Park, Y.J., Lee, W.H. *, Wahman, D. G, and Pressman, J. G., Long-term Spatiotemporal Imaging of Chemical Profiles in Brass and Cement in a Simulated Chlorinated and Chloraminated Water System, Proceedings, American Water Work Association, Water Quality Technology Conference and Exhibition, Salt Lake City, Utah, November 15-19, 2015. Lee, W.H. *, Ma, X.†, Church, J.†, Wahman, D. G, and Pressman, J. G., In–situ Spatiotemporal Chemical Reactions at Water-Solid Interfacial Processes using Microelectrode Techniques: from Biofilm to Metal Corrosion, 2015 AEESP Research and Education Conference, New Haven, CT, June 13-16, 2015. Lee, W. H., Wahman, D. G, Lytle, D. A., and Pressman, J. G., Evaluating In-Situ Reactions of Chlorine and Chloramines at the Surface of Copper and Iron Pipe Materials using Microelectrodes. Proceedings, American Water Work Association, Water Quality Technology Conference and Exhibition, New Orleans, LA, November 16-20, 2014. Lee, W. H., Wahman, D. G, and Pressman, J. G., 3D Free Chlorine and Monochloramine Penetration and Associated Nitrifying Biofilm Activity and Viability: Implications for Periodic Free Chlorine Application to Chloraminated Drinking Water Distribution Systems. Proceedings, Water Quality Technology Conference and Exhibition, Toronto, Ontario, Canada, November 4−8, 2012. Lee, W. H., Wahman, D. G, Bishop, P. L., and Pressman, J. G., Using Microelectrodes and Live/Dead BacLight to Compare Penetration, Activity, and Viability within Nitrifying Biofilm Subjected to Free Chlorine, Monochloramine, and Free ammonia, Proceedings, the 244th American Chemical Society National Meeting, Philadelphia, PA, August 19−23, 2012. *This poster was chosen the best of the Division of Environmental Chemistry (ENVR) posters and presented in the Sci-Mix Interdivisional Poster Session. Lee, W. H., Wahman, D. G, Bishop, P. L., and Pressman, J. G., Using Microelectrodes and Live/Dead BacLight to Compare Penetration, Activity, and Viability within Nitrifying Biofilm Subjected to Free Chlorine, Monochloramine, and Phosphate, 2011 AEESP Educational & Research Conference, Tampa, FL, July 10-12, 2011. Lee, W. H., Wahman, D. G, Bishop, P. L., and Pressman, J. G., Comparison between Monochloramine and Chlorine in Water Distribution Systems Biofilms: Penetration, Activity and Viability, Proceedings, Water Quality Technology Conference and Exhibition, Savannah, GA, November 14−18, 2010. Lee, W. H., Wahman, D. G, Bishop, P. L., and Pressman, J. G., Disinfectant Penetration and its Effect on Nitrifying Biofilm Activity and Viability: Monochloramine vs. Free Chlorine, Ohio Section American Water Works Association (AWWA) 72nd Annual Conference, Columbus, OH, September 20-23, 2010. Wahman, D. G, Pressman, J. G, Kleier-Schrantz, K. A., Lee, W. H., and Bishop, P. L., Investigations into distribution system nitrification: simulated systems and microelectrode biofilm profiling, Proceedings, American Water Works Association (AWWA) 2010 Inorganic Contaminants Workshop, Denver, CO, February 28−March 2, 2010. Lee, W. H., Pressman, J. G, Wahman, D. G, and Bishop, P. L., Monochloramine Microelectrode for In Situ Application within the Biofilm of Chloraminated Drinking Water Distribution Systems, Proceedings, Water Quality Technology Conference and Exhibition, Cincinnati, OH, November 16−20, 2008. Lee, W. H., Lee, J-H, Bishop, P. L., and Papautsky, I., Biological Application of MEMS Microelectrode Sensors for Direct Measurement of Phosphate in the Enhanced Biological Phosphorus Removal Process, Proceedings, 81th Annual Water Environmental Federation Technical Exhibition and Conference, Chicago, IL, Oct. 18−22, 2008. Lee, J-H, Lee, W. H., Bishop, P. L., and Papautsky, I., MEMS microelectrode sensor for in situ monitoring of phosphate in biological applications, Proceedings, the 234th American Chemical Society National Meeting, Boston, MA, August 19−23, 2007. Seo, Y, Lee, W. H., and Bishop, P. L., Application of a permeable reactive biobarrier for surfactant enhanced soil bioremediation, Proceedings, the 234th American Chemical Society National Meeting, Boston, MA, August 19−23, 2007. Lee, W. H., Seo, Y, and Bishop, P. L., Characterization and evaluation of the cobalt-based phosphate microelectrode for use in in-vivo environmental analysis, Proceedings, the 234th American Chemical Society National Meeting, Boston, MA, August 19−23, 2007. Diaz, D. †, Ezeodurukwe, I.†, Church, J.†, Young, M., Santra, S., and Lee, W.H. *, Harmful algal bloom (HAB) control and water disinfection using a novel fiberglass mesh coated with quaternary ammonium compounds, 2018 American Water Works Association–Florida Section Fall Conference, Orlando, FL, Nov. 25-29, 2018 (Accepted). Church, J.† and Lee, W.H. *, Development, characterization, and application of needle-type microsensors for in situ monitoring of ions citrus plants, 10thAnnual Graduate Research Colloquium, Burnett School of Biomedical Sciences, UCF, Aug. 15, 2018. Diaz, D. †, Ezeodurukwe, I.†, Church, J.†, Young, M., Santra, S., and Lee, W.H. *, Harmful algal bloom (HAB) control and water disinfection using a novel fiberglass mesh coated with quaternary ammonium compounds, 10thAnnual Graduate Research Colloquium, Burnett School of Biomedical Sciences, UCF, Aug. 15, 2018. Ezeodurukwe, I.†, Church, J.†, An, J.W., Young, M., Santra, S., Nam, B., and Lee, W.H. *, Recycled concrete aggregate for water disinfection and HABs mitigation, 2018 Florida Water Resources Conference (FWRC), Daytona Beach, FL, April 15–18, 2018. Rodriguez, K.† Hwang, J-H.†, Cho, H.J., and Lee, W.H. *, A novel biopolymer-modified carbon sensor for simple and rapid detection of lead in tap water, 15th Annual Showcase of Undergraduate Research Excellence (SURE), University of Central Florida, April 5, 2018. Church, J.† and Lee, W.H. 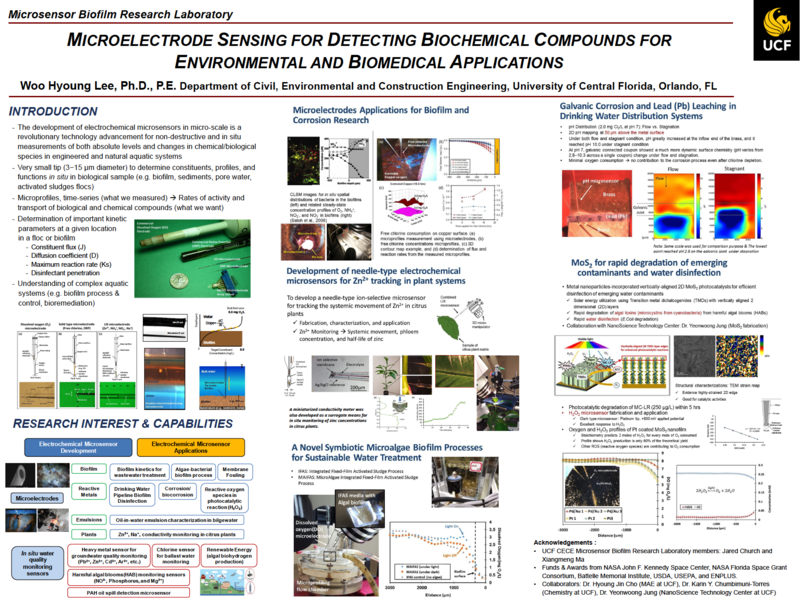 *, Electrochemical Microsensors for In Situ Monitoring of Chemical Compounds in Engineered and Natural Aquatic Systems, 2018 Graduate Research Forum, University of Central Florida, April, 3, 2018. Curtis, D.†, Hwang, J-H.†, Jung, and Lee, W.H. *, A Novel 2D MoS2 Sponge Oil-Water Separator (MDSOS), 15th Annual Showcase of Undergraduate Research Excellence (SURE), University of Central Florida, April 5, 2018. McLean, R.†, Munshi, F.†, and Lee, W.H. 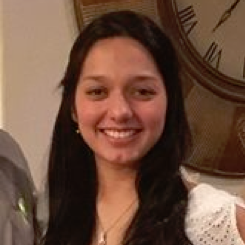 *, Nanoparticle-driven Forward Osmosis Modification for Mitigating Membrane Biofouling in Algae Separation, Florida Undergraduate Research Conference, Melbourne, FL, Feb. 23–24, 2018. Hwang, J.H.† and Lee, W.H. *, Electricity Generation from Bilgewater using Microbial Fuel Cells (MFCs), Materials Innovation for Sustainable Agriculture (MISA) 2017 Symposium, Orlando, FL, Nov. 6-7, 2017. Ma, X.†, Armas, S.M., Soliman, M., Lytle., Chumbimuni-Torres, K.Y., Tetard, L., and Lee, W.H. *, Microelectrode application in drinking water galvanic corrosion study, Materials Innovation for Sustainable Agriculture (MISA) 2017 Symposium, Orlando, FL, Nov. 6-7, 2017. Church, J.†, Armas, S.M., Patel, P.K., Chumbimuni-Torres, K.Y., and Lee, W.H. *, Development, characterization, and application of needle-type ion-selective microelectrodes for in situ monitoring of ions in citrus plants, Materials Innovation for Sustainable Agriculture (MISA) 2017 Symposium, Orlando, FL, Nov. 6-7, 2017. *The presentation was selected for 1st place in the student poster contest. Davies, T.†, Hwang, J-H.†, and Lee, W.H. *, Feasibility Test of Sustainable Energy Production from Oily Liquid Wastes, 14th Annual Showcase of Undergraduate Research Excellence (SURE), University of Central Florida, April 6, 2017. Louis-Jean, D.†, Church, J.†, Ma, X.†, and Lee, W.H. *, Bacterial Enumeration and Bacterial Endotoxin Testing of Water Sterilization Systems for Military Use, 14th Annual Showcase of Undergraduate Research Excellence (SURE), University of Central Florida, April 6, 2017. McLean, R.†, Munshi, F.†, and Lee, W.H. *, Nanoparticle-driven Forward Osmosis Modification for Mitigating Membrane Biofouling in Algae Separation, 14th Annual Showcase of Undergraduate Research Excellence (SURE), University of Central Florida, April 6, 2017. 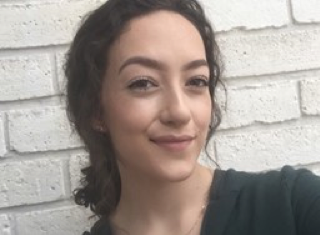 *The presentation was selected for “Judges Pick” and Rebecca McLean has received a scholarship from UCF’s Office of Undergraduate Research. Munshi, F.†, Church, J.†, Sadmani, A., Lee, W.H. *, Algae Dewatering with Different Draw Solutions and Cross Flow Velocities using Forward Osmosis (FO) Flat Sheet Membrane, 2017 Graduate Research Forum, University of Central Florida, April 4, 2017. Munshi, F.†, Church, J.†, Lee, W.H. 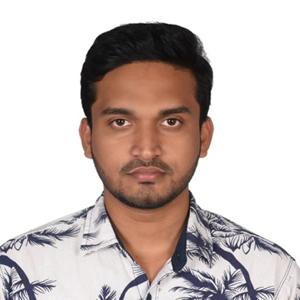 *, Sadmani, A., The Effect of Cross Flow and Draw Solutions on the Algae Dewatering using Forward Osmosis, 2016 American Water Works Association – Florida Section Fall Conference, Orlando, FL, Nov.28–Dec. 1, 2016. Church, J.†, Lee, W.H. *, Randall, A.A., Amundsen, T.J., and Zastrow, D.J., Dishwashing Water Recycling System and Related Water Quality Standard for Military Use, 2014 American Water Works Association – Florida Section Fall Conference, Orlando, FL, Nov.30–Dec. 4, 2014. Ma, X.†, Wang, X., Lee, W. H.*, Cho, H. J., Cobalt Nanostructured MEMS Sensor for In Situ Phosphate Monitoring, Solid Waste Association of North America (SWANA) FL Summer Conference, Weston, FL, July 27-29, 2014. Pressman, J. G, Lee, W. H., and Wahman, D. G., Investigating the effects of disinfectants on nitrifying biofilm using chlorine and monochloramine sensitive microelectrodes: comparison of penetration, activity, and viability, Cincinnati Area Water Distribution System Networking Seminar, July 13, 2011. Wahman D. G, Lee, W. H., Bishop, P. L., and Pressman, J. G., Investigations into Drinking Water Distribution System Nitrification: EPA Microelectrode Research. Presented at Spring 2011 Chemical, Biological and Environmental Engineering Seminar Series, Oregon State University, Corvallis, OR, May 16, 2011. Lee, W. H., and Bishop, P. L., In Situ Microscale Analyses of Activated Sludge Flocs in Biological Phosphate Removal Process by In Situ Hybridization and the Use of Microelectrodes, Ohio Water Environment Association (OWEA) Annual Meeting, Cincinnati, OH, June 22−25, 2009. Lee, W. H., Lee, J-H, Bishop, P. L., and Papautsky, I., MEMS Microelectrode Sensor for Direct Determination of Phosphate and Its Biological Application for Environmental Analysis, Showcase 2008, University of Cincinnati, 2008. Lee, W. H., Lee, J-H, Bishop, P. L., and Papautsky, I., MEMS Microelectrode Sensor for In situ Monitoring of Phosphate in the Environmental Analysis, Graduate Poster Forum, University of Cincinnati, 2008. Lee, W. H., Seo, Y, and Bishop, P. L., Microscopic study on the enhanced biological phosphorus removal (EBPR) process using microelectrodes, Proceedings, 37th Mid-Atlantic Industrial & Hazardous Waste Conference, Cincinnati, USA, March, 2007. Rajasekaran, P., Campos, M.N., Prajapati, R.K., Das, S., Huwang, Z., Smith, S., Soliman, M., Church, J., Armas, S.M., Chumbimuni-Torres, K., Lee, W.H., Petridis, L., Tetard, L., Santra, S., Multifunctional surface/sub-surface/systemic therapeutic technology (MS3T), NIFA CDS meeting, Fort Pierce, 2018. Development, characterization, and application of needle-type ion-selective microsensors for in situ monitoring of Zn2+ in citrus plants, Materials Innovation for Sustainable Agriculture (MISA) 2017 Symposium, Orlando, FL, Nov. 7, 2017. Microelectrode sensing for detecting biochemical compounds for environmental and biomedical application, UCF-Mayo Clinic Mini-Symposium, University of Central Florida, April 6, 2017. Microelectrodes for detecting chemical species with high spatial resolution in aquatic systems, UCF (CECS-NSTC-CREOL)-BRIDG Workshop on Sensor Devices and Applications, University of Central Florida, April 26, 2017. Electrochemical Microsensors for Environmental Research and Algal Bioenergy Production, Seoul National University of Science and Technology, Korea, Feb. 20, 2017. Electrochemical Microsensors for Environmental Research and Algal Bioenergy Production, Korea University, Korea, Feb. 20, 2017. Electrochemical Microsensors for Environmental Research and Algal Bioenergy Production, Chonnam National University, Korea, Feb. 17, 2017. Drinking Water Disinfectants Penetration and Nitrifying Biofilm Activity and Viability, UNISENSE Workshop, UNISENSE A/S, Aarhus, Denmark, Jan. 24, 2014. In Situ Monitoring Needle-type Environmental Microsensors for Biofilm Study in Aqueous Systems, Environmental Research Interdisciplinary Colloquium (ERIC) seminar, University of South Florida, Tampa, FL, Nov. 6, 2013. Disinfectant Biofilm Penetration and the Effect on Biofilm Activity, Viability, and Recovery using Microelectrodes and Live/Dead BacLight, CECS-COM joint conference, University of Central Florida, Orlando, FL, Oct. 18, 2013. In Situ Monitoring Microsensors for Biofilm and Corrosion Research, Water Supply and Water Resources Division (WSWRD) Brach Chiefs meeting, S. Environmental Protection Agency, Cincinnati, OH, May 16, 2013. Drinking Water Disinfectants Penetration and Nitrifying Biofilm Activity and Viability, Seminar in the Department of Civil Engineering, University of New Mexico, Albuquerque, NM, March 28, 2013. Free Chlorine and Monochloramine Penetration and Associated Nitrifying Biofilm Activity and Viability: Periodic Chlorine Switch Implications, Seminar in the Department of Civil, Environmental and Construction Engineering, University of Central Florida, Orlando, FL, February 6, 2013. Environmental Microsensors for In Situ Chemical/Biological Compound Monitoring and Their Applications for Biofilm Research, Graduate Seminar in the School of Energy, Environmental, Biological, and Medical Engineering, University of Cincinnati, Cincinnati, OH, January 11, 2013. Environmental Microsensors for In Situ Water Quality Monitoring and Their Applications for Biofilm Research, Seminar in the Department of Civil and Environmental Engineering, Florida International University, Miami, FL, June 8, 2012. Microsensors for Biofilm Research with Application for Protection of Human Health and the Environment, Seminar in the Department of Civil Engineering and Construction Engineering, California State University, Long Beach, CA, April 25, 2012. Microsensors for Biofilm Research with Application for Protection of Human Health and the Environment, Seminar in the Department of Civil and Environmental Engineering, South Dakota State University, Brookings, SD, April 16, 2012. Microsensors for Biofilm Research with Application for Protection of Human Health and the Environment, Seminar in the Department of Civil and Environmental Engineering, West Virginia University(WVU), Morgantown, WV, March 13, 2012. Needle-type Electrochemical Microsensors for In Situ Monitoring of Biological and Chemical Compounds and Applications for Biofilm Research, Seminar in the Department of Civil and Environmental Engineering, Michigan Technological University, Houghton, MI, February 6, 2012. Development and Use of Microelectrodes to Evaluate Nitrification within Chloraminated Drinking Water System Biofilms, Seminar in the Department of Civil Engineering, Kansas State University, Manhattan, KS, April 25, 2011. Development and Use of Microelectrodes to Evaluate Nitrification within Chloraminated Drinking Water System Biofilms, and the Effects of Phosphate on Nitrifying Biofilm, Seminar in the Department of Chemical, Biochemical, and Environmental Engineering, University of Maryland, Baltimore County, Baltimore, MD, March 4, 2011. Development and Use of Microelectrodes to Evaluate Nitrification within Chloraminated Drinking Water System Biofilms, Seminar in the Department of Civil and Environmental Engineering, Syracuse University, Syracuse, NY, February 22, 2011. Needle-type Microsensors for In Situ Monitoring of Nutrients and Biological Compounds, Joint Seminar in the College of Engineering & Applied Sciences and the School of Freshwater Sciences, University of Wisconsin-Milwaukee, Milwaukee, WI, November 29, 2010. Disinfection Penetration and Effect on Nitrifying Biofilm: Monochloramine vs. Free Chlorine, 2010 EPA-China Workshop for Drinking Water Distribution Systems, S. Environmental Protection Agency, Cincinnati, OH, February 23, 2010. Disinfection Penetration and Effect on Nitrifying Biofilm: Monochloramine vs. Free Chlorine, Treatment Technology Evaluation Branch meeting, S. Environmental Protection Agency, Cincinnati, OH, January 14, 2010. UCF STEM Students Granted a Full-Ride to Science and Engineering Festival for Invention, Central Florida Lifestyle Magazine, by Shannon Hampton, April 27, 2018. EPA Awards Grant to the University of Central Florida for Innovative Technology Projects, U.S.EPA, Mar. 22, 2018. UCF among student teams to receive EPA funding for innovative sustainable projects, Lake County Wateratlas, Feb., 16, 2016. UCF monthly Faculty Spotlight under UCF Sustainability Initiatives, by Hannah Hollinger, Sustainability Initiatives, Feb. 2, 2016. $1.9 Million Federal Grant Recognizes UCF as ‘Center of Excellence’, by Mark Schlueb, UCF Today, Jan. 26, 2016. “Microsensor Development and Application for Water Quality”, College of Engineering Magazine, Vol. 24, 110-113, Chonnam National University, Korea, 2015. Research Findings from University of Cincinnati Update Understanding of Analytical Science, Published in Science Letter (Publisher: Susan Hasty), April 19th, 2011. Phloem-based delivery of therapeutics, Inventors: S. Santra, W.H. Lee, and S. Rajaraman, U.S. provisional patent application filed on August 17, 2017 (Reference UCF #33743/11231). Honorable mention at the 2016 sustainable energy awards for the work done under the title “Algae Biofuel Osmosis Dewatering (ABODE) project”, P3 design competition, Washington. D.C.
Water treatment and harmful algal bloom control using a fiberglass mesh nanocoated with silica-quaternary ammonium compounds. Use of fiber coated mesh to control harmful algae blooms.